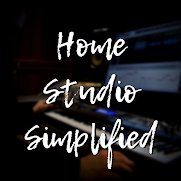 Home Studio Simplified: Noisy Recordings? Here are some actions to take in order to eliminate microphone/instrument noise. Make sure that your not clipping your audio signal as its being recorded. You should be recording not louder than -6dbs in your sessions. In the old days, driving the gear to get saturation was awesome, now... not so much. In a digital realm it only causes crackle and pops that cant be fixed. Next thing is to test each mic by itself, do some test recording and narrow it down to it only being one mic, or if they all have the same problem, it may be something else. Check your cables, if you hear a particular noise while setting up or recording, shake a few cables around and see if it goes away. If so, it could just be a faulty cable. Now, I personally own a Lenovo with Windows 10 and it has not caused me any grief unless I don't update it regularly. Make sure you're all up to date, and make sure to update your audio drivers. So, if you are having audio issues with noise, try these things out. Test each mic/instrument by itself. Make sure your gain is set very modestly so that your meters don't ever touch the top or go into the red area. - Go to Device Manager and uninstall the sound driver. - Once uninstalled, reboot your PC and it should reinstall the driver automatically. - If it will not install, download and install the latest driver from the manufacturer site of the motherboard. - Reboot your PC again after installing the latest driver then test it again. Let me know if any of these help!